These 3 great recipes are awesome for lunch or dinner. Cook them up for you guests or serve them at a party, these are excellent choices for those of you looking to eat healthy! 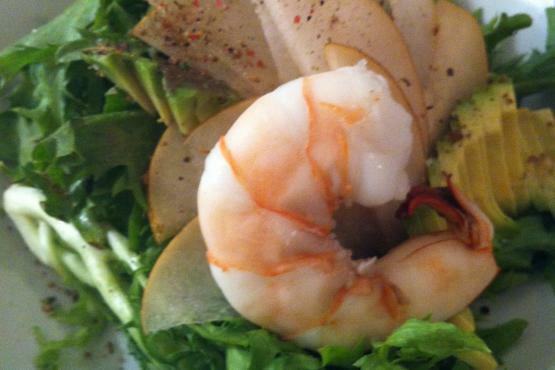 Makes dinner for two with leftover shrimp to us the following day in your salad or other meals. Soak wooden skewers in warm water. Mix olive or coconut oil, garlic, lemon and spices in a large, shallow bowl. Add shrimp and let sit in refrigerator for 30 minutes, stirring occasionally. Prepare the grill just before meal time. Place on hot grill. Turn after a few minutes on each side and remove when bright pink and fully cooked (about 1-2 minutes per side). 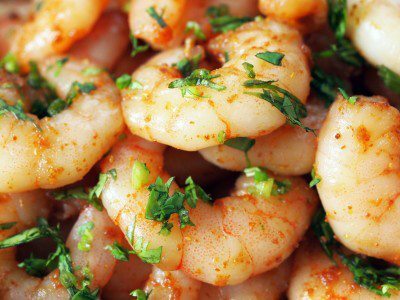 Serve with lime wedges and chopped parsley. Arrange frisse in two salad bowls or plates. Fan pear and avocado evenly on each plate. Add one shrimp to each. THEN SERVE IT UP AND ENJOY!!!! Add whole packet of Cajun Choice Shrimp seasoning evenly on top of the shrimp. Cut butter into small pieces and add directly into pan. Once butter is all melted stir shrimp, seasoning and butter all together. Stir some more to make sure lemon is all over shrimp. Cook for about 2 more min and serve. 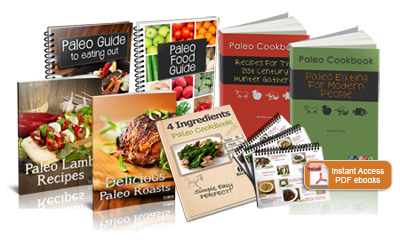 Do you need some help losing weight or getting motivated to lose weight and keep the weight off for good? Check out these articles I wrote on some tips on how to effectively lose weight and keep it off for good! 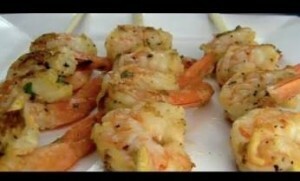 Video I found on another great recipe… Lemon Garlic Shrimp! ENJOY!